What are the uses of Form Liners? According to the city of Spokane, the Post Street Pedestrian downtown Spokane is in need of of repairs. The bridge was originally constructed in 1917.The proposed design for the new bridge would keep the historic arches and would include new post tensioned concrete girders that would span the river. The city is reaching out to the public to take a survey that will offer feedback on the proposed designs and how to better accommodate vehicles, bicyclists and pedestrians on the 51-foot wide bridge deck. It will include a vehicular lane, pedestrian and bicycle routes and will also accommodate the Centennial Trail. 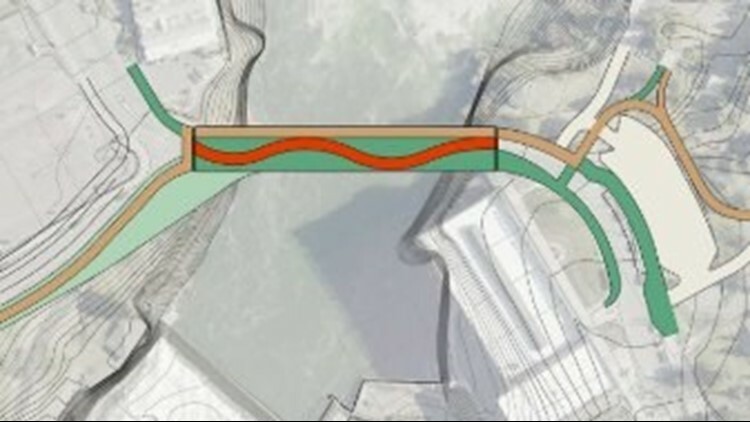 There are some restrictions to the designs — there is only one vehicular lane that travels northbound, the south approach to the bridge must tie into one lane of Post Street and the Centennial Trail along the bridge will need to be routed to the northeast side of Post Street to allow connection to Riverfront Park. There are currently five options the city has created for the new bridge design. The first is a balanced look, in that all three lanes of traffic (the vehicular lane, the bicyclist and pedestrian land and the Centennial Trail) are roughly equal in width. There is also the unbalanced approach, which would allow for a larger pedestrian lane. The city is also suggesting a wavy road design, in which the vehicular lane would bend left and right down the bridge to slow down traffic. The city is also asking for input from the public on the barriers. They have three different options to choose from — formliner, which is a concrete formliner base topped with metal railing, historic or semi-transparent, which would enable river views. Despite the unexpected problems, construction is sticking pretty close to the original plan, Flynn said. “While there have been increased costs, the plans predicted the need for some very specialized work to address most of the problems we have seen, just not to the scale that was eventually needed to overcome them,” she said. A Signal Mountain reader in May questioned the aesthetics of the project, particularly pointing to the now-complete phase I retaining walls on the north side of the Olgiati Bridge where the concrete surfaces are starting to become dirty. “The project does have some aesthetic features. There is a specially selected form liner used to make the cast concrete on the project look similar to cut limestone block walls that are located throughout Chattanooga, along with the use of the tri-star from the Tennessee State Flag on the bridges,” Flynn said. “Although we appreciate aesthetics, TDOT is more concerned with putting their money into the construction of durable, functional items (bridges, roadways, retaining walls, etc.) and less on visual flair,” she said. But landscaping is planned for the project, though TDOT won't be part of it.